We know that your home is one of your greatest investments. That is why we use an exceptional line of products and top quality craftsmanship. In addition to roofing, we also provide a wide variety of home renovations: windows, siding, doors, eavestroughs, skylights and sun tunnels. Don't miss out! Renovate your home before the Spring rush! You can trust our team at 1st Choice Home Solutions to get the job done right the first time, every time. Take advantage of our NEW Residential Lifetime Limited Workmanship Warranty. Voted top 3 Roofing Company in London for 2 years straight. With a Steel or Metal Roof you will Never Re-Roof Again! See our long line of products on our Steel Roofing page. Choose Long Lasting Steel Shingles from Wakefield Bridge. A Steel Roof will be the envy of the neighbourhood! Our London, Ontario roofers offer an excellent service for all of your roofing needs. With 1st Choice Home Solutions, you can expect integrity, honesty, and quality workmanship. Reward yourself with our referral program, and obtain great discounts for repeat business. We built 1st Choice Home Solutions on two simple principles: integrity and honesty. 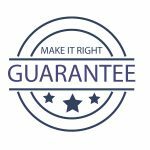 Our Make it Right Guarantee is a promise to our customers—if you are not satisfied with our work within 30 days of your complete install, we will work together to find a suitable resolution. My experience with 1st choice was nothing less than amazing. Everyone who worked on the house was very professional and a joy to work with. Glen patiently explained every step in the process and made certain both he and I were satisfied with the end product. My house looks wonderful! Right from the first meeting we were impressed with the way the owners and employees of 1ST Choice Home Solutions handled the installation of our new roof. We were given honest input on materials and requirements. Project was completed on time as promised without a hitch and cleanup was excellent. I had my windows replaced by 1st choice. and what great they did, the installers where the best great workmanship and the job was done in clean and tidy fashion. Dealing with Glen was great as well he was very helpful in helping me choose what I wanted. I would and will have them for any future work. Glen and the 1st Choice Home Solutions Team were professional and friendly. Right from the office staff to the various trades people visiting the job site. We replaced our roof, soffits, fascia, eavestroughs and siding. The house looks fantastic and I would recommend anyone interested in working with a competent group of professionals to seek the expertise of 1st Choice Home Solutions. Throughout the entire process, 1st Choice Home Solutions handled the installation of our new roof professionally. From the initial quote, to the cleanup visit we felt involved every step of the way. Thank you again for giving us piece of mind in choosing a reputable company during this process. This company changed our home into a showpiece. They were professional, honest and caring. We love our new doors especially. but the siding, windows and eave troughs all help. Would not even consider using another company. Thank you. We are very happy with their customer service, quality product and workmanship. We use them a couple of years for a new roof, eavestroughs, and a skylight. We liked their service, workmanship and good value so much we now used them to replace our windows and doors and they look great. Our London, Ontario roofers offer an excellent service for all of your roofing needs. With 1st Choice Home Solutions, you can expect integrity, honesty, quality workmanship and our industry leading lifetime limited workmanship warranty. Contact our London, Ontario roofers today for a free estimate.